Jorge Luis Sierra is a Knight International Journalism Fellow and an expert on cybersecurity. He focuses on the intersection of digital security, technology and investigative journalism. During his Knight Fellowship, Sierra is developing digital crowd-sourced mapping tools to track crime, corruption and attacks on journalists. He is also creating applications linked to those maps to help journalists assess their physical and digital risks. 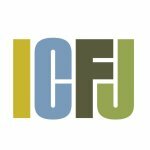 Previously, Sierra directed ICFJ's Knight Fellowships program. An award-winning Mexican investigative reporter and editor, he covered a range of conflict-related topics such as drug trafficking, organized crime, counterinsurgency and gangs before he joined ICFJ. More than ever before, journalists who work in dangerous zones understand the importance of technology to improve safety and reduce risk. Xiomara Orellana, Daniela Aguilar, Ernesto Aroche and Javier Garcia are four such journalists. Their experiences provide useful examples of what can be achieved with proper security training and the right technologies. Orellana, an investigative reporter for La Prensa, Honduras, works in San Pedro Sula, which has the highest murder rate in the world, with 186 murders per 100,000 people. Unwilling to investigate stories with only phone interviews, she enters the turf of drug cartels to interview victims of violence. During sessions on safety and security, she learned how to protect the integrity of both her data and communications, how to check if the connection to the Internet was safe or not, how to navigate the Internet anonymously, and how to create strong passwords. "I was able to build my own security protocols", Orellana says after attending safety training workshops I conducted in my role as an ICFJ Knight International Journalism Fellow. Another experience, this time from Ecuador, shows how partnerships with technology organizations might help young entrepreneurs to deal with cyber-threats. Last September, Daniela Aguilar, a journalist who launched La Historia, reported that her website had been attacked after covering several sensitive stories. One involved the father of Ecuador's vice president, who had been accused of child sexual abuse. The website had suffered a massive distributed-denial-of-service attack, better known in the cybersecurity world as a DDoS attack. I put Aguilar in touch with Deflect, a Canadian organization with resources to mitigate against DDoS attacks and protect online voices. Deflect was able to work with La Historia and quickly get it back on line. Aguilar said the assistance had "helped to keep our voice from being silenced." Photo journalist Javier Garcia has received training to cover demonstrations in Mexico City and avoid being physically assaulted both by local police officers and unknown masked people. "I learned how to predict the movement of police forces, identify potential routes of escape and organize to protect ourselves and make better coverage," Garcia says in an interview via email. Garcia and his group FotoreporterosMX promptly changed all their communications and started to use encrypting applications. Ernesto Aroche, editor of LadoBe, an online news portal based in Puebla, Mexico, has also learned the importance of risk assessment. "It has become a regular practice in LadoBe to plan and systematically monitor colleagues who go on a trip to dangerous zones," Aroche says, "There is today a better awareness of the need to assess risk in press coverage that didn't exist before." Aroche now designs his own security protocols, using encrypted chats and emails to contact sources with sensitive information. For him, and his colleagues, learning to use technology might represent a matter of death or life. Orellana, Garcia and Aroche show us that planning is crucial when reporters are going to dangerous zones. It doesn't mean that journalists are not going to face a sudden challenge, but they will be better prepared to face it.